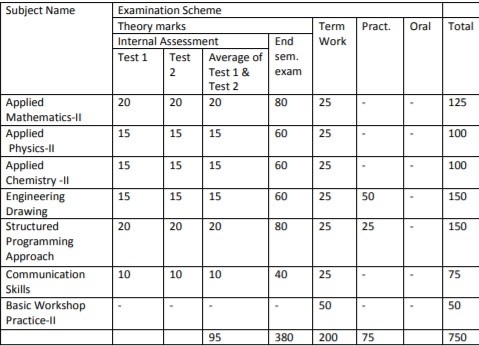 First Year Engineering Semester 2 Syllabus - padhaee "
First Year Engineering Semester 2 Syllabus – The second semester syllabus for Mumbai University engineering degree course is as bad as the first semester.There are wore subjects like engineering drawing that needs hundreds of hours of practice to clear as well as applied mathematics 2 that is worse than math 1 in many ways.Work extremely hard to avoid an ATKT in this semester. where X is ?????? , sin(ax+b), cos (ax+b), ??? ?, ????? ?V, xV. differential equation, Method of variation of parameters. 3.2 . Beta and Gamma functions and its properties. 4.1. Differentiation under integral sign with constant limits of integration. 4.3. Rectification of plane curves. 5.1. Double integration?definition, Evaluation of Double Integrals. changing the order of integration and changing to polar form. Module?5: Triple Integration and Applications of Multiple Integrals. 6.2. Application of double integrals to compute Area, Mass, Volume. Application of triple integral to compute volume. Work Practical Oral Total Internal Assessment End SEM. Applications-design of antenna, wave guide, satellite communication etc. Application of CRO: Voltage (dc,ac), frequency, phase measurement. Transmission Electron Microscope, Atomic Force Microscope. Vapour deposition, solgel), properties and applications of nanomaterials. Compacting- i) Cold pressing ii) Powder injection moulding (iii) Hot compaction. Shape Memory Alloys- Definition, properties and Uses. values. Characteristics of a good fuel. 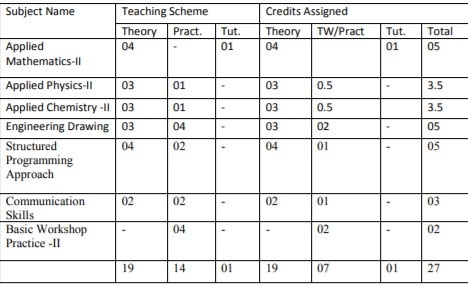 Distillation with diagram and composition and uses table. cracking. Advantages of Catalytic cracking. alcohol, Knocking, Octane number, Cetane number, Antiknocking agents. volume only) for given solid & gaseous fuels. advantage and disadvantages of biodiesel. Fuel cell- Definition, types and applications. Conventional and green synthesis of Adipic acid, Indigo, Ibuprofen and Carbaryl. Green solvents (ionic liquid supercritical CO2) and products from natural materials. Engineering Curves: Basic construction of Cycloid, Involutes and Helix (of cylinder) only. setting up layers, Dimensioning, Hatching, plotting and Printing. 6) Use CAD tool to draw an isometric view. **Should be covered during Auto CAD practical sessions. 1) 2 problems each from Engineering Curves, Projection of Lines, Planes and Solids. lateral surface of that sectioned Solid. Traces of lines) and simple application based problems on Projection of lines. plain/natural scale only. (Exclude Spherical surfaces). • **Drawing of Isometric views using Auto CAD. Unary, Conditional, Bitwise, Comma, other operators. Expression, statements, Library Functions, Preprocessor. gets( ), puts( ), Structure of C program . 3.1 Branching – If statement, If-else Statement, Multiway decision. Arguments to a Function, Recursion. element, One-dimensional and Multidimensional array. Operation on structures, Array of Structure. dimensional Array, Array of Pointers, Dynamic Memory Allocation.